Kyra Donovan, McMinnville’s Director of Elementary and Federal Programs has been awarded Oregon Association of Central Office Administrator’s Achievement of Excellence Award. Being a part of McMinnville School District since 2005, she has been an instrumental piece in the success of the McMinnville School District. Kyra is responsible for the professional development of all MSD administrators, K-12 teachers, and instructional assistants. Because of this, she has helped implement three foundational frameworks of professional learning: Power Strategies for Effective Teaching, Data Teams/Common Formative Assessments, and Rigorous Curriculum Design. Professional learning in the McMinnville School District has been and remains focused on these three foundational frameworks. As a result, student achievement has soared. For the last several years, despite serving a high-needs population, McMinnville School District students, and all student subgroups, have performed significantly above state average on a variety of measures. Of high schools with fifty-plus English Learners, McMinnville High School has the highest graduation rate in the state. It’s students also earned 9,700 college credits in the 2014/15 school year, making the school a state leader in dual credit. Just as Kyra cares about ensuring students are prepared when they leave the district. She is also heavily involved in student success before they enter the district. To ensure all students are prepared for kindergarten, Kyra implemented a Ready for Kindergarten program targeting families in poverty, English learners, and disadvantaged minorities. The program is an age-targeted parent workshop that focuses on child development instruction and coaching. Each participating family receives a child development manual featuring colorful illustrations that make the manual accessible to families with low literacy skills. At the end of each workshop, the families are given a bag of new, developmentally appropriate, high quality toys and books. Consistently, over the last several years, the children of parents who participated in the Ready for Kindergarten program perform above state and district average on the Oregon Kindergarten Assessment. Kyra Donovan believes that all students can achieve at any level. She is committed to addressing the needs of underserved children, youth and families. She is committed to equity and to ensuring our schools and classrooms are characterized by culturally responsive and linguistically competent teaching and learning. Kyra has contributed to the students, staff and administration of McMinnville School District. She has also contributed by serving on many committees in the community. 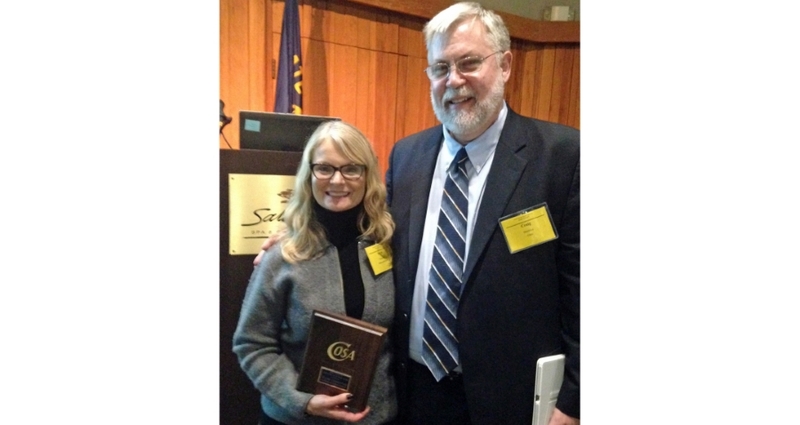 Kyra was honored at the OACOA/OASE Winter Conference on January 29th, 2016 in Gleneden Beach, Oregon, and will also be honored at the Annual COSA Conference in Seaside in June.